The author selected Internet Archive to receive a donation as part of the Write for DOnations program. Code quality is an approximation of how useful and maintainable a specific piece of code is. Quality code will make the task of maintaining and expanding your application easier. It helps ensure that fewer bugs are introduced when you make required changes in the future. SonarQube is an open-source tool that assists in code quality analysis and reporting. It scans your source code looking for potential bugs, vulnerabilities, and maintainability issues, and then presents the results in a report which will allow you to identify potential issues in your application. The SonarQube tool itself is made out of two parts: a scanner, which is an application that would be installed locally on the developer’s machine to do the code analysis, and a centralized server for record-keeping and reporting. A single SonarQube server instance can support multiple scanners, enabling you to centralize code quality reports from many developers in a single place. In this guide, you will deploy a SonarQube server and scanner to analyze your code and create code quality reports. Then you’ll perform a test on your machine by scanning an example code with the SonarQube scanner. You need to complete a few steps to prepare for the SonarQube installation. As SonarQube is a Java application that will run as a service, and because you don’t want to run services as the root user, you’ll create another system user specifically to run the SonarQube services. After that, you’ll create the installation directory and set its permissions, and then you’ll create a MySQL database and user for SonarQube. This user will only be used to run the SonarQube service, so this creates a system user that can’t log in to the server directly. SonarQube releases are packaged in a zipped format, so install the unzip utility that will allow you to extract those files. Now create the credentials that SonarQube will use to access the database. Now that you have the user and directory in place, you will download and install the SonarQube server. Then, head over to the SonarQube downloads page and grab the download link for SonarQube 7.5 Community Edition. There are many versions and flavors of SonarQube available for download on the page, but in this specific tutorial we'll be using SonarQube 7.5 Community Edition. Now that all the files are in place, we can move on to configuring the SonarQube server. 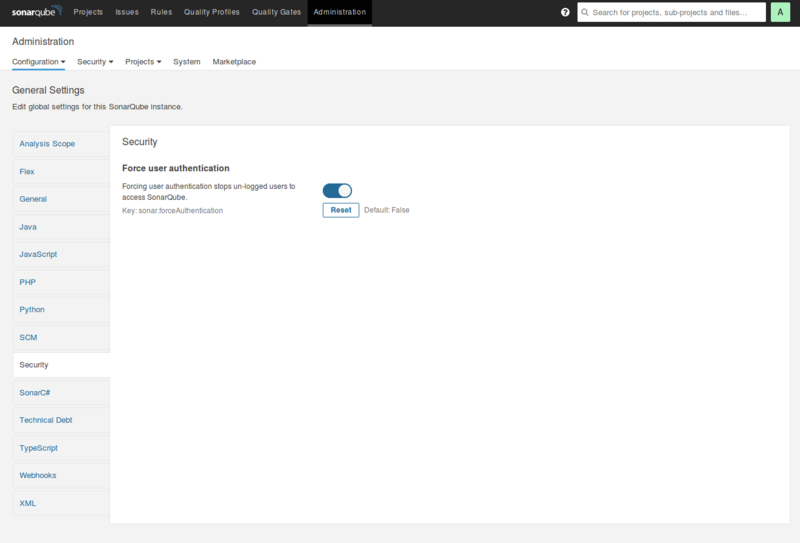 We need to specify the username and password that the SonarQube server will use for the database connection. We also need to tell SonarQube to use MySQL for our back-end database. We'll tell SonarQube to run in server mode, which will yield improved performance. We'll also tell SonarQube to only listen on the local network address since we will be using a reverse proxy. As this instance of SonarQube will be run as a dedicated server, we could add the -server option to activate SonarQube's server mode, which will help in maximizing performance. Nginx will handle the communication between the SonarQube clients and your server, so you will tell SonarQube to only listen to the local address. Once you have updated those values, save and close the file. Next, you will use Systemd to configure SonarQube to run as a service so that it will start automatically upon a reboot. You can learn more about systemd unit files in Understanding Systemd Units and Unit Files. Once the initialization process is complete, you can move on to the next step. Now that we have the SonarQube server running, it's time to configure Nginx, which will be the reverse proxy and HTTPS terminator for our SonarQube instance. For a quick test, you can now visit http://sonarqube.example.com in your web browser. You'll be greeted with the SonarQube web interface. If this is your first time requesting a Let's Encrypt certificate, Certbot will prompt for your email address and EULA agreement. Enter your email and accept the EULA. Certbot will then ask how you'd like to configure your security settings. Select the option to redirect all requests to HTTPS. This will ensure that all communication between clients and the SonarQube server gets encrypted. Now that we're done setting up the reverse proxy, we can move on to securing our SonarQube server. SonarQube ships with a default administrator username and password of admin. This default password is not secure, so you'll want to update it to something more secure as a good security practice. Start by visiting the URL of your installation, and log in using the default credentials. If prompted to start a tutorial, simply click Skip this tutorial to get to the dashboard. From here, click on the small cog on the right of the "Administrator" account row, then click on "Change password". Be sure to change the password to something that's easy to remember but hard to guess. Then create a token for a specific user by clicking on the button in the "Tokens" column and giving this token a name. You'll need this token later when you invoke the code scanner, so be sure to write it down in a safe place. Finally, you may notice that the SonarQube instance is wide-open to the world, and anyone could view analysis results and your source code. This setting is highly insecure, so we'll configure SonarQube to only allow logged-in users access to the dashboard. From the same Administration tab, click on Configuration, then General Settings, and then Security on the left pane. Flip the switch that says Force user authentication to enable authentication, then click on the Save button below the switch. Now that you're done setting up the server, let's set up the SonarQube scanner. In this tutorial, you'll install the code scanner on the same server that hosts our SonarQube server. Now that the scanner is set up, we're ready to run our first code scan. If you'd like to just poke around with SonarQube to see what it can do, you might consider running a test scan on the SonarQube example projects. These are example projects created by the SonarQube team that contains many issues that SonarQube will then detect and report. Now that you've confirmed that the SonarQube server and scanner works with the test code, you can use SonarQube to analyze your own code. To have SonarQube analyze your own code, start by transferring your project to the server, or follow Step 6 to install and configure the SonarQube scanner on your workstation and configure it to point to your SonarQube server. You'll use this file to tell SonarQube a few things about your project. # Path is relative to the sonar-project.properties file. Replace "" by "/" on Windows. The project's code quality report will now be on the SonarQube dashboard. In this tutorial, you've set up a SonarQube server and scanner for code quality analysis. Now you can make sure that your code is easily maintainable by simply running a scan — SonarQube will tell you where the potential problems might be! From here, you might want to read the SonarQube Scanner documentation to learn how to run analysis on your local development machine or as part of your build process. If you look back at tech movies of the past, some of them were really ahead of their time. Think back to 1995’s The Net, a film about computer analyst Angela Bennett (played by a young Sandra Bullock) who happens upon a government conspiracy — and dangerous hackers — while debugging a computer program. Not only did the film hit the nail on the head with how prevalent the internet is in our lives, but it also highlighted the power and pervasiveness of programming. Call it prophetic, but “hacking” skills — the good kind — are the common currency of the future. With an increasing interest in computer programming and the growth of tech-sector jobs, the time is now to learn a thing or two about 0s and 1s. It’s time to learn to code (no, not morse code). Maybe it was tech-of-the-future movies that got you interested in coding as a kid, or perhaps you’re developing a passion for learning mid-career. Whatever the reason, it’s time to go back to school — and with the right resources, you can learn a host of new language skills (no verb conjugating required). So what is coding? (If you’ve got some time, start here). Simply put, code is the set of instructions given to computers to perform specific functions. With lines of code, programmers develop the software that powers the devices you encounter every day — from your smartphone to your microwave. Yep, it does a lot. 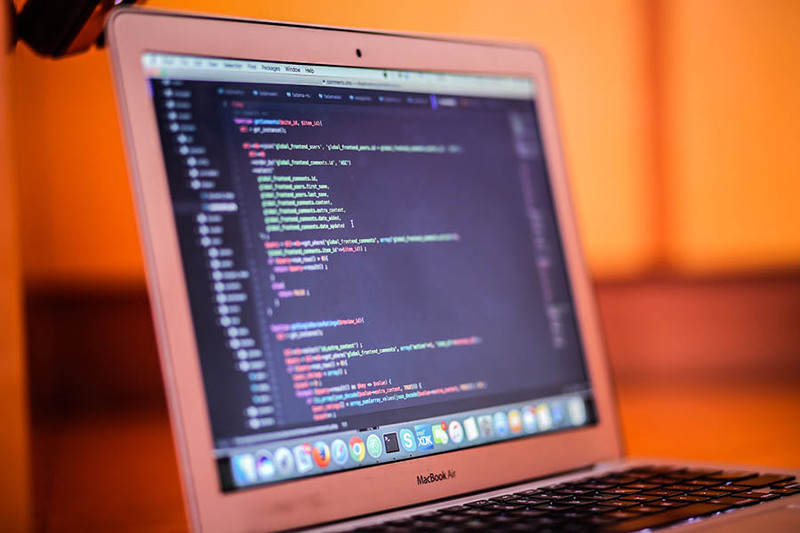 Programming is not just a way to build things; coding helps solve problems, aids people in need, and, as Steve Jobs admonished, it teaches you how to think. It’s a skill lauded by presidents, mayors, billionaires, even high fashion supermodels. There’s even a designated Computer Science Education Week. Mark your calendars! The good news is you don’t have to live in Silicon Valley or have expensive, high-tech gadgets to learn how to code. Self-taught programming is on the rise, and you can join the masses that are taking to the web to learn the next universal language. With the click of a mouse, you can develop a whole new repertoire of programming skills. And we’ve got all the resources to help you learn to code as you start the digital school year. Brrrrring! (Code) School is back in session. Before I inundate you with stellar programming resources, allow me to introduce you to a real-life, self-taught coding graduate. Meet Ryan Hanna. Why him? Well, in 2015, more than half of mobile phone users had downloaded a health-related mobile app. And know who created one of the most successful ones? That’s right. Hanna began teaching himself to code in January of 2012 using Codeacademy, out of a desire to start creating his own projects. “I was tired of just consuming things that other people were building and wanted to try building something of my own,” he says. 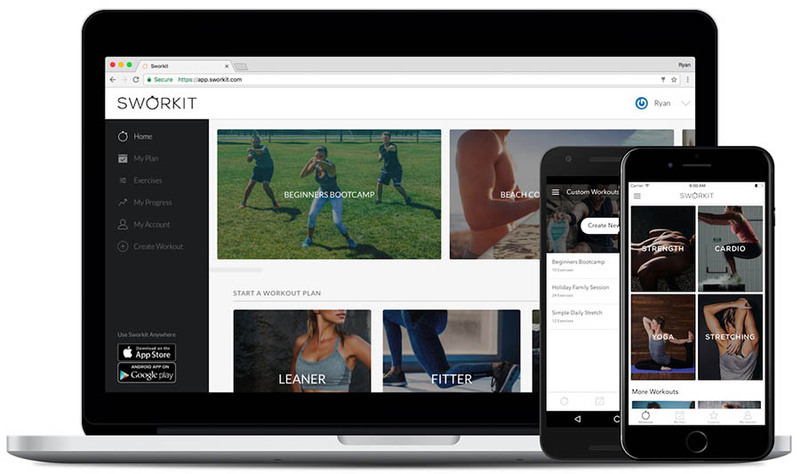 Utilizing lessons from Codeacademy, PhoneGap, and tutorials he found on blogs, he picked up programming skills and began working on his own creation — a new workout app called Sworkit. “I transitioned from an IT specialist to a full-time junior developer in the same company I worked for after one year of learning and had started building my own project in my free time,” Hanna says. “This project ended up replacing most of my resume and helped me get my first non-junior developer role where I worked for two years. The growth of Sworkit proved to Hanna — and it should prove to you — that building something amazing is only a few steps away. And learning to code doesn’t have to be overwhelming. Start with baby steps, Hanna says. A computer science degree isn’t required to get started with a shiny new set of coding skills. Many others have learned, and so can you. Here is a hefty list of 70 free or low-cost ways (and more) to get started. We know gaming isn’t time-wasting — rather, it’s an engaging way to learn and practice new concepts as you learn to code. Use these online activities to sharpen your skills. A collection of beginner-to-advanced practice problems that allow you to earn certificates and hone your skills. Consider it a type of fun homework. Utilize Reddit’s user-based forums to try challenges in a range of different levels and applications — everything from Scrabble-like tests to mazes. Play virtual coding games (think: destroying enemy ships with code) that can teach you essential skills and can get you noticed by companies. See how you stack up against other coders with a large library of dynamic coding challenges while building a profile and attracting the attention of programmer-seeking companies. Coding activities with purpose. Help solve real-world problems for businesses with innovative programming solutions while joining a community of coders and utilizing practice problems. Become the Obi-Wan of programming by testing out problems and offering your own solutions, while participating in a unique coding community. Enhance your development skills by taking Microsoft’s fun and creative coding projects for a spin. A great resource to train yourself, collaborate with others, and create in a variety of programming languages. Practice problems (consider them mini-quests) for newbies and experts, tailored to your interests, whether you want to learn to code, increase fluency in your chosen language, or develop clean code. Just submit your solutions and get helpful feedback. Works through GitHub. No dull, dusty textbooks here — these programming tomes can provide you useful reading material. The perfect manual for self-studiers, written by one of coding’s own amateur-turned-professional graduate. A countless collection of ebooks on every possible programming topic, like how to learn Python or PHP. 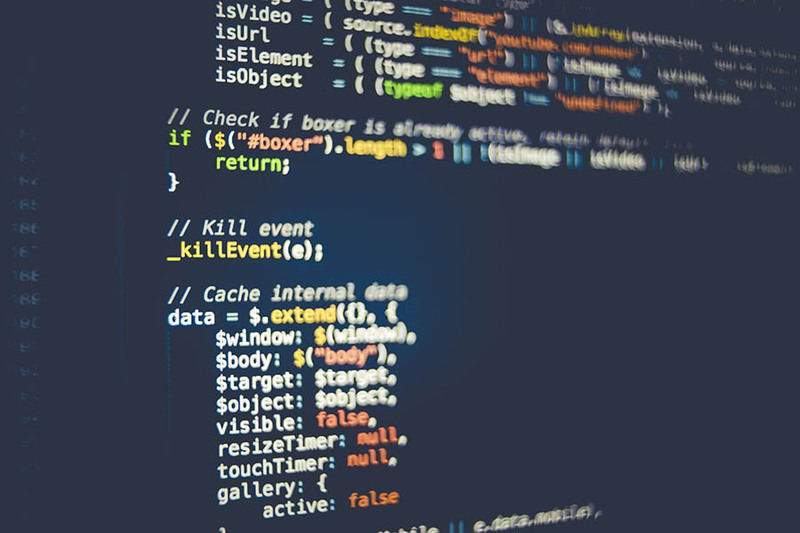 Another exhaustive collection of online resources to help you increase your coding knowledge. Want to meet with like-minded individuals? Find a mentor or coding event in your area. Virtual classified ads for programmers; identify programming comrades that match your unique skills and interests and collaborate on personalized projects. A matching platform that connects users in a myriad of different fields; outfit a profile with what you offer and what you want to learn and begin sharing knowledge with other groups. Utilize the site’s Pair With Me button to encourage collaboration from your own website or contact form. Also, check out the provided collection of resources and guides for programmer pairing. This social media handle hosts a live, weekly chat every Wednesday where users can ask questions and converse with other programmers — beginners and experts alike. A general connection platform that allows you to tailor specific meetup requests in your area. A good place to start? Tech Meetups. Not unlike a hip, adult slumber party; these all-night coding parties allow you to gather with like-minded learners and develop new skills as you tackle team programming projects. For those looking to feel like a student again. Another Code.org resource that allows you to find computer science courses local to your area. A female-focused nonprofit that provides resources for computer science-interested women. Find your local chapter and attend programming events. Did You Know? DreamHost has partnered with Girl Develop It to sponsor WordPress courses nationwide. Link your GitHub account to find coding buddies that share similar programming goals and projects. A large community of programmers who connect via Slack and organized study (screen-sharing) hangouts. Make your hangouts as unique as your project. Hunker down: it’s movie night. Time to break out the popcorn and watch as YouTubers — and others — share their knowledge. (Bonus: No Redbox fees). 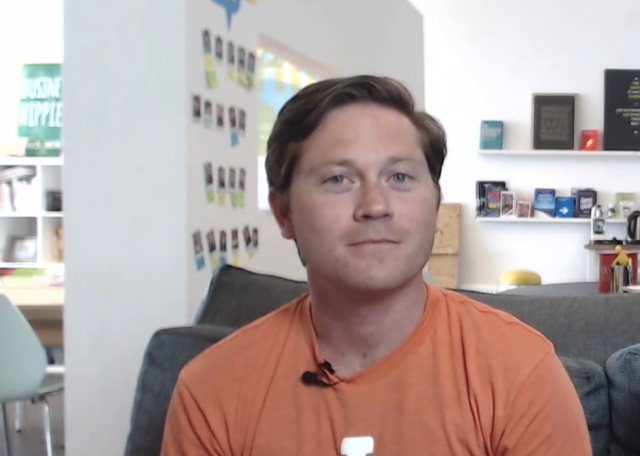 A Google employee shares weekly video lessons that address topics of web design and development. The YouTube channel of a matching site that addresses much more than just CSS. Your wish is Derek Banas command; the YouTuber makes video tutorials based on the requests and questions from viewers, so ask away! His tailored videos also include multi-weekly live streams. Along with an extensive collection of programming tutorials, he’s also got in-depth guides on how to create video games. Score! Helpful step-by-step web development tutorials covering everything from responsive web design to splash screens. Covering all things computers, The New Boston offers detailed videos for every step of your programming journey — even for beginners. A great starting point for beginners; these easy-to-digest video help learners manage the ins-and-outs of different programming languages. A playlist of seven top-tier talks from Ted Talks’ best speakers, covering topics like teaching kids to code and improving government through programming. A handy video series for web developers learning how to interact with computer programs. This educational channel has more than 330,000 subscribers for a reason: the folks behind it know their stuff. With tons of videos on a host of programming languages and live content, you can get a crash course on any programming subject you want to learn about. Looking for additional coding movie makers? Here are a few more you can check out. Choose from a handful of virtual courses or coding boot camps to learn new skills — at free or budget-friendly costs. A coder-must platform that helps programmers collaborate with each other as they save code online, view changes, and discuss issues. Another resource that makes coding a team effort; works in conjunction with Git to help programmers work jointly on projects. A full list of all kinds of online computer courses from distinguished universities — available in various formats for easy accessibility. Whether you want to learn how to build websites, apps, or games, this resource has helpful lessons, quizzes, and project-based learning tools for creating and real-life problem solving, tailored to your own individual programming path. They even provide an educational environment for junior coders. Another exhaustive list of coding resources, plus, a helpful introduction that guides beginners on where to start. Ryan Hanna’s alma mater is helping educate the world in programming; choose from a catalog of courses that meet your learning needs and get coding. Web developer Walsh shares a host of programming tutorials in addition to sharing demos and info about coding conferences. A collection of computer science courses and resources available right from your screen and in multiple formats. A course-focused site that offers resources for learning, practicing, and earning badges that boost your skills. Students can earn anything from app-building to website-creation. Take courses straight from actual universities in a variety of specializations. This site partners with top schools to offer education in programming, data science, business, and more. Students choose from an extensive collection of self-paced computer science courses fueled by university curriculum — it was founded by Harvard and MIT in 2012. Complete challenges and building projects that can help you build skills, even acquire developer jobs. Plus, Free Code Camp tasks have practical applications, like aiding nonprofits with open source projects. Learn coding basics from your browser — the step-by-step guided fundamentals can aid you in building your next super-site. Earn a nanodegree — an online certification with provided course materials and instructor guidance — in one of seventeen available tech tracks. Learn in-demand job skills at your own pace. Cost: Prices vary (but plan for a cost of at least a few hundred every month). Learn to code on the go with online courses or a travel-friendly app. Topics feature tons of courses and quizzes, plus social learning components; there’s even a “Code Playground” for experimental development. Choose from more than 45,000 courses tailored to your own personal programming syllabus rated and reviewed by peers. A learning platform filled with engaging courses taught by industry gurus. Email courses designed to help you launch a career in web development and propel your ideas into real-life web applications. An HTML and CSS tutorial that starts at the web’s bare bones and gets gradually more detailed as the course progresses — an easy-to-understand intro for beginners. A smart guide with an abundance of helpful resources for every step of your self-taught programming journey. Haven’t found your perfect fit? Try this: a few more places to code for free. Load up your device with audio coding lessons and listen on your commute or during your workout. Shop talk about development best practices relevant to a number of different programming languages. 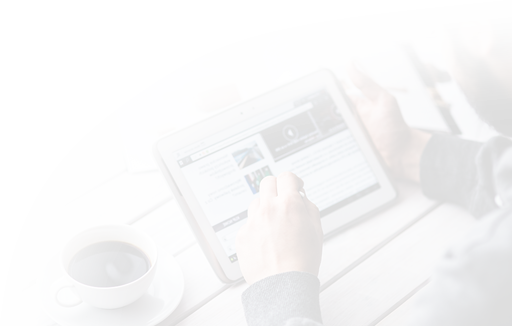 Featured interviews with experts that touch on tech topics like mobile app development and developer testing. A snackable-size podcast designed for busy schedules. Listen to quick bites on all kinds of developer-designed details. A perfect podcast if you want a little taste of everything; each show covers a different programming language so you can expand your coding knowledge with each episode. This weekly podcast features stories and useful lessons from other individuals who are on their self-taught programming path. Laurence Bradford’s weekly podcast helps self-taught coders transition to the tech field with useful real-world examples and tips on developing marketable skills and enhancing your resume. Need more earworms? Try additional podcasts here, including language- and task-specific channels. Turns out, it’s never too soon to start introducing your tots to their first bytes. A book series designed to help your little ones make connections to computer science principles during early development. A three-volume collection of board books that introduce your infants to computer science fundamentals. In conjunction with site Code Babies. Treehouse: When Should Kids Learn to Code? Tips for helping kids to get a start in programming. A youthful resource for finding online courses or local classes. Includes games and activities. A record-setting event for Code Club where kids ages 7-18 around the world join together to tackle projects — MoonHack’s or your own (moon-themed, of course). 2017’s MoonHack event brought together more than 28,000 youth. Entice youth early to get involved in coding with this easy-to-follow (and super fun) visual guide that helps them learn to program their own games. Gaming + learning = win-win. Our collection of resources provides a comprehensive list of places to initiate your self-taught programming journey, from beginning fundamentals to jump-starting your coding career. But along the way, you might hit a few roadblocks. Well, we’re here for you. Maybe you don’t know what programming language to start learning. Easy. Try an interactive quiz or infographic that guides your journey based on your individual goals and interests (like, creating a game, or developing an iOS or Android app). Struggling with framework questions, or need to fix a bug or in your code? Try utilizing Stack Overflow, a coder’s knowledge-sharing community. Want to automate tedious tasks while using Microsoft devices? Do it with Windows PowerShell. Trying to learn how to master an object-oriented programming language? Visualize with the Understand tool. Or perhaps you’re looking for useful apps or a development environment to practice in? We’ve got you covered. Try some note-taking apps that help while you code and useful coding playgrounds like Code Pen, JSFiddle, or Limnor Studio (visual programming) to get your feet wet. Any more questions? Let us know. Ready for your homework? Time to get coding. Pick a course, a video, a podcast, or a coding game. Start there and start small. 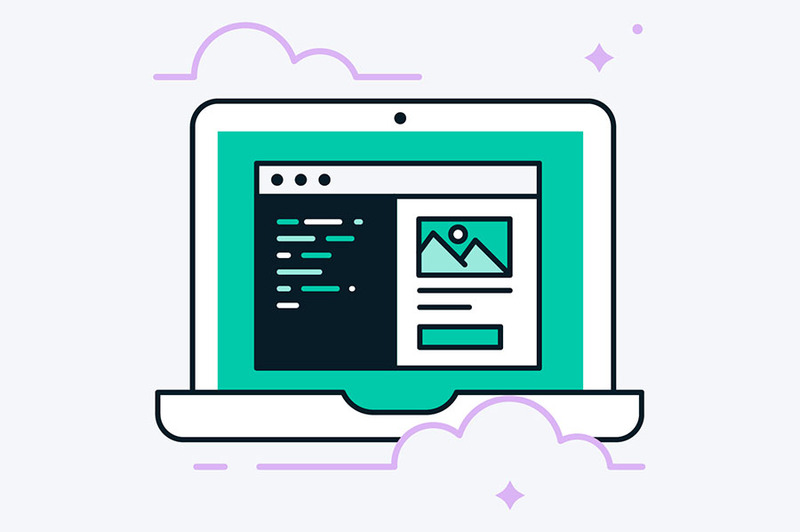 With our complete guide to coding resources, you have everything you need to start building your own projects and becoming fluent in your new language. Are you a self-taught programmer? How did you learn to code? What advice would you give to other wannabe coders? Share your story — and your advice — with us in the DreamHost Community!